Since its formal opening on July 25, 1974, Artpark has successfully forged a new role for the arts in leisure. Artpark is unique as a public park and as a space for art. 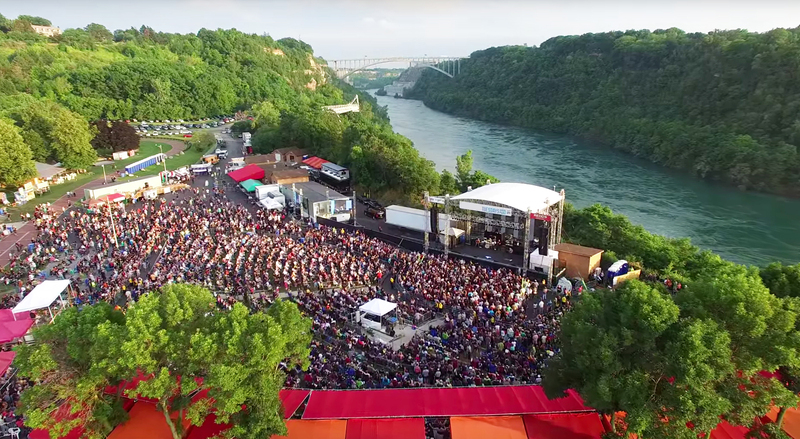 As one of North America's most innovative summer venues, Artpark offers a full spectrum of engaging entertainment; from productions of Broadway musicals, Buffalo Philharmonic Orchestra performances and concerts in the Mainstage Theater to award-winning concert series featuring popular rock and pop performers in the Outdoor Amphitheater. Created especially with the family in mind, Artpark also offers art, theater, and rock camps for youth, and a variety of weekend family programs. The park includes numerous hiking trails, nature sites, fishing docks and picnic areas. Here in this idyllic setting, you are welcome to relax and play, enjoy great theater performances, discover art, and perhaps, discover the artist in yourself. For more information, call (716) 754-4375 or visit www.artpark.net.